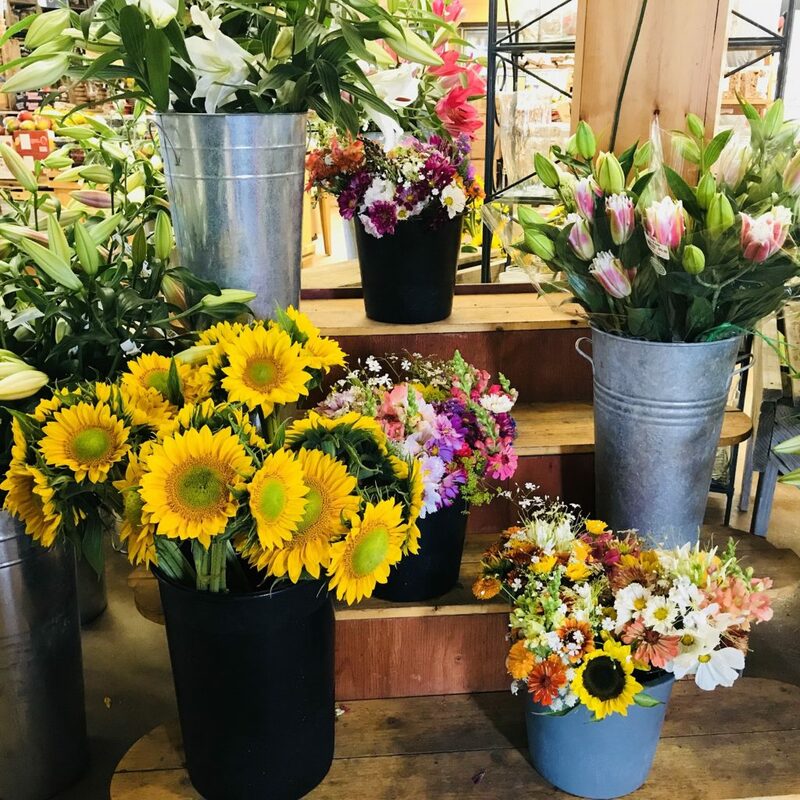 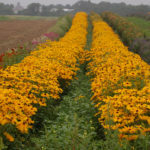 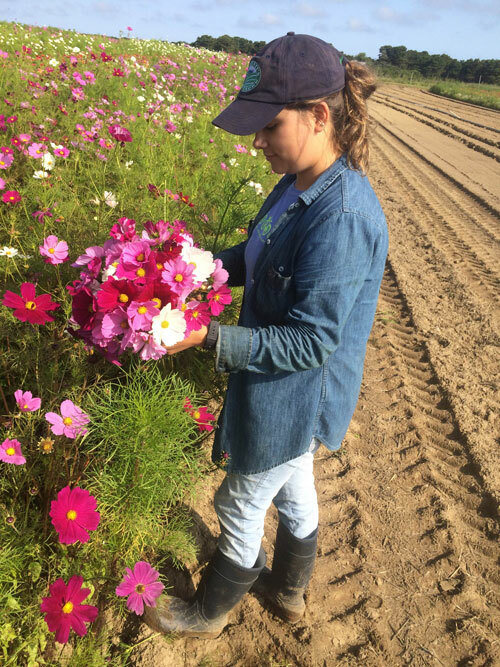 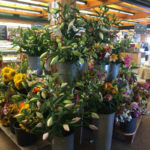 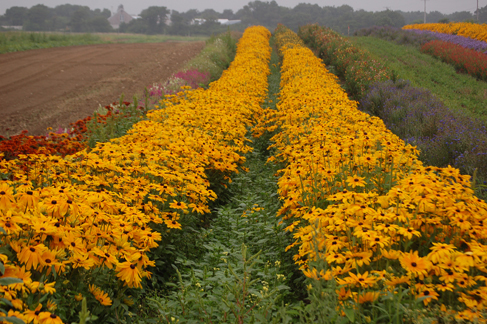 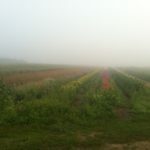 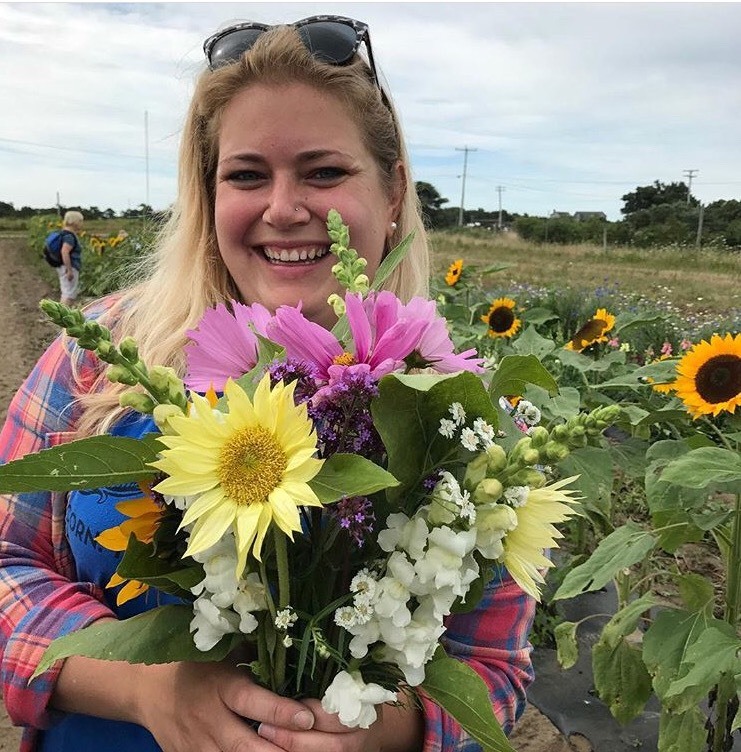 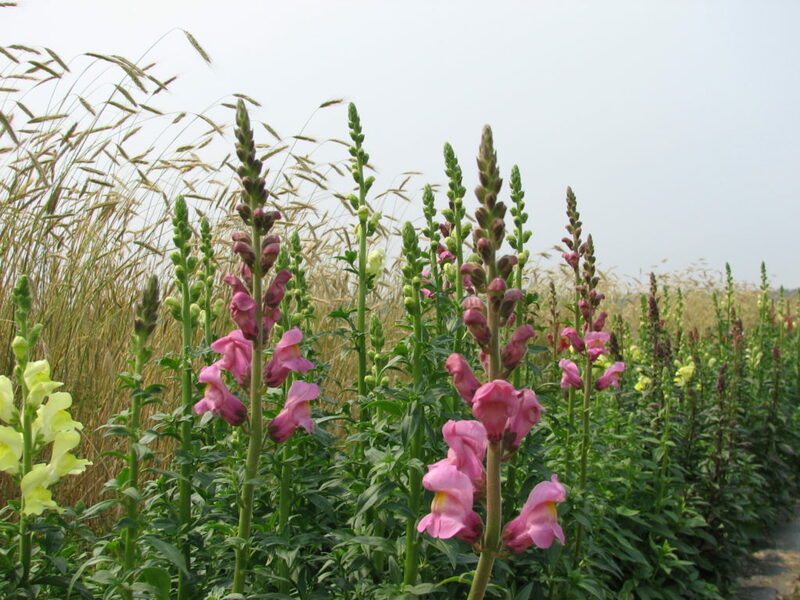 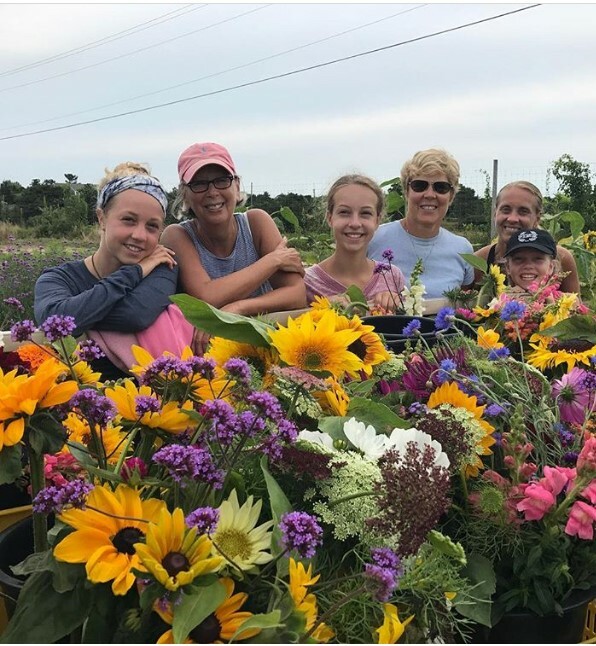 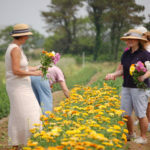 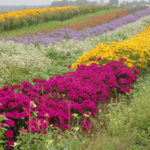 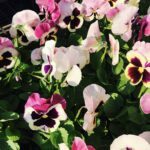 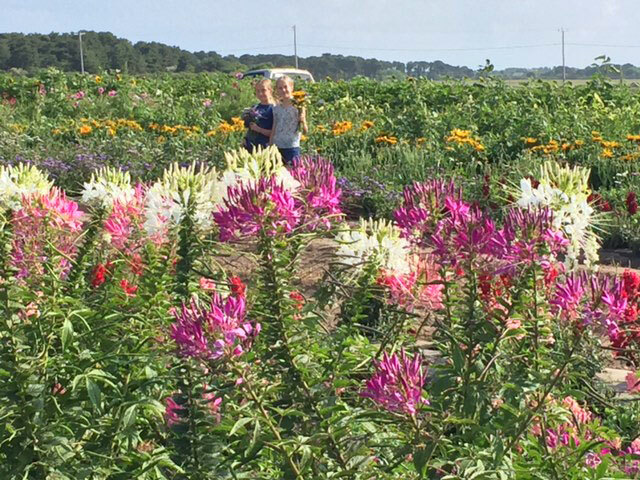 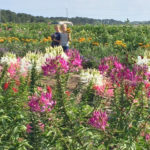 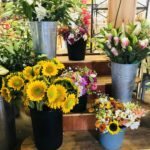 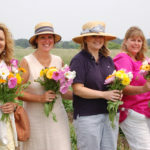 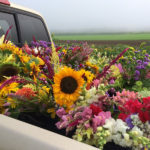 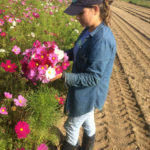 As you are driving out to the farm in summer, you will pass by our iconic flower fields, filled with rows of snapdragons, daisies, sunflowers, cosmos and at least a dozen other types of flowers. 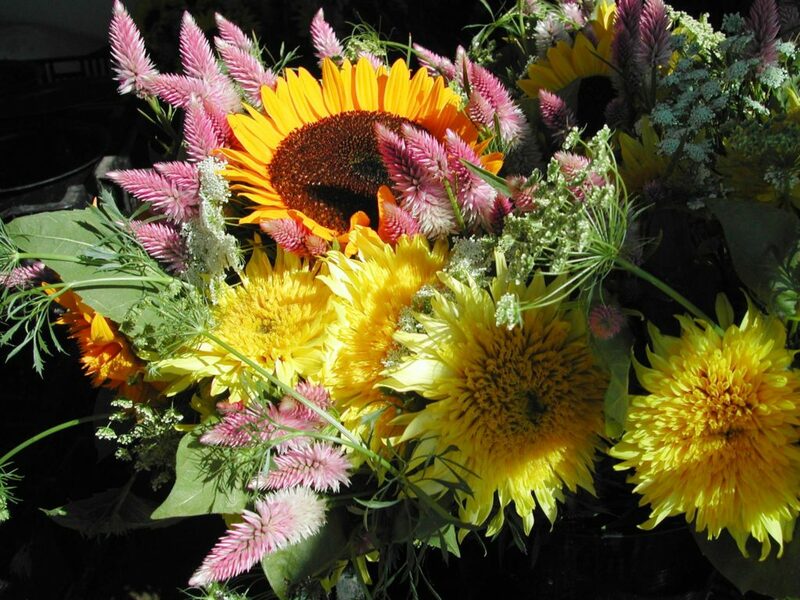 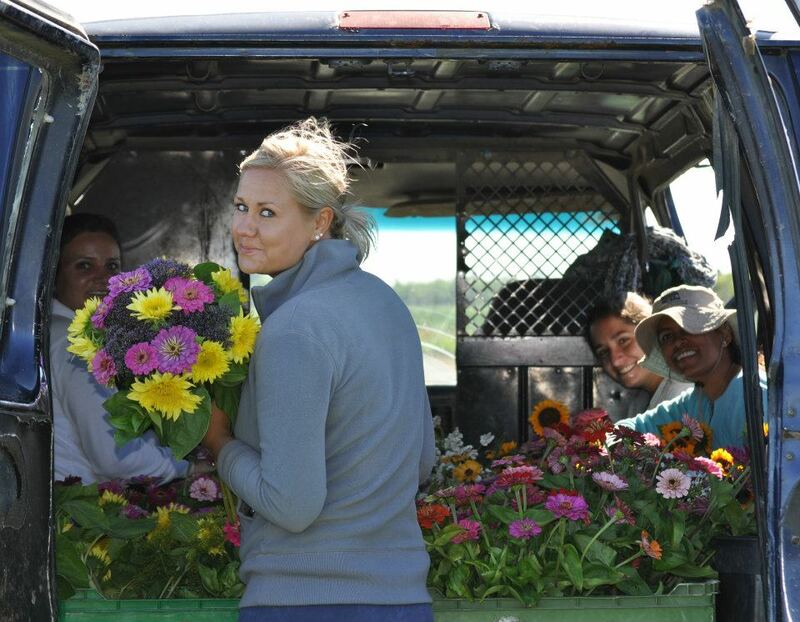 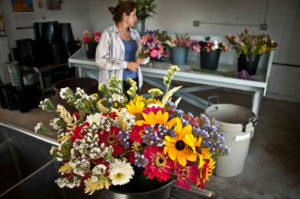 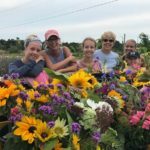 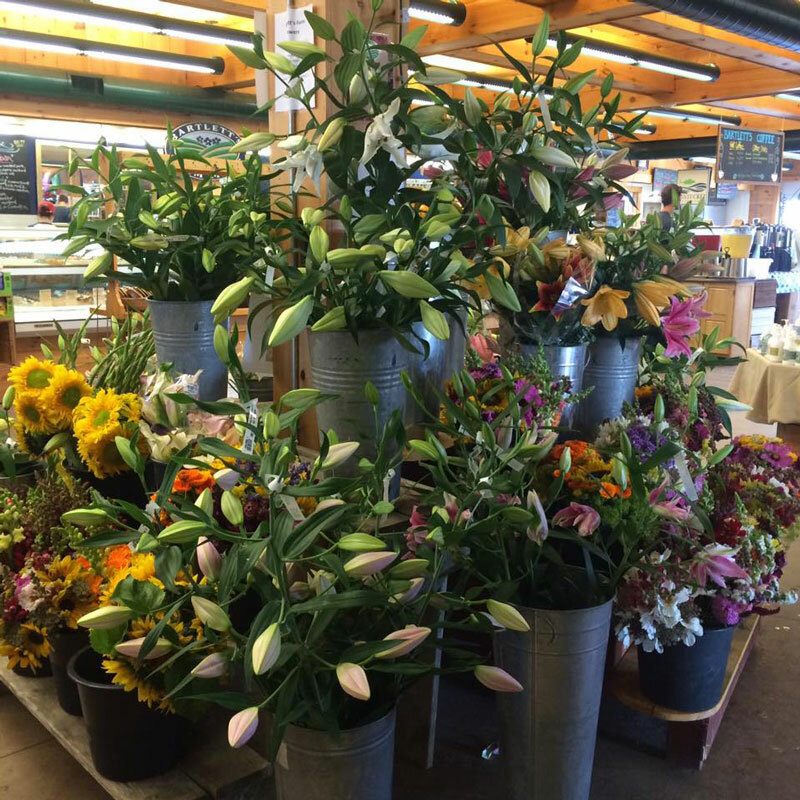 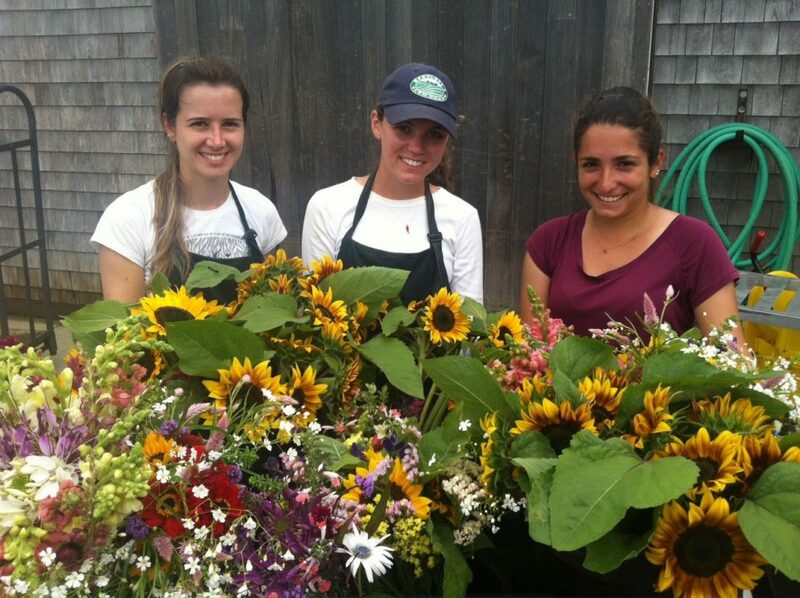 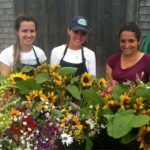 Every day our morning crew prepares bunches of flowers to sell on our produce trucks and in the market. 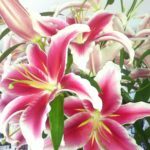 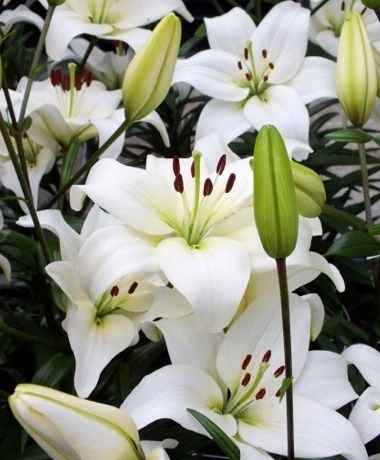 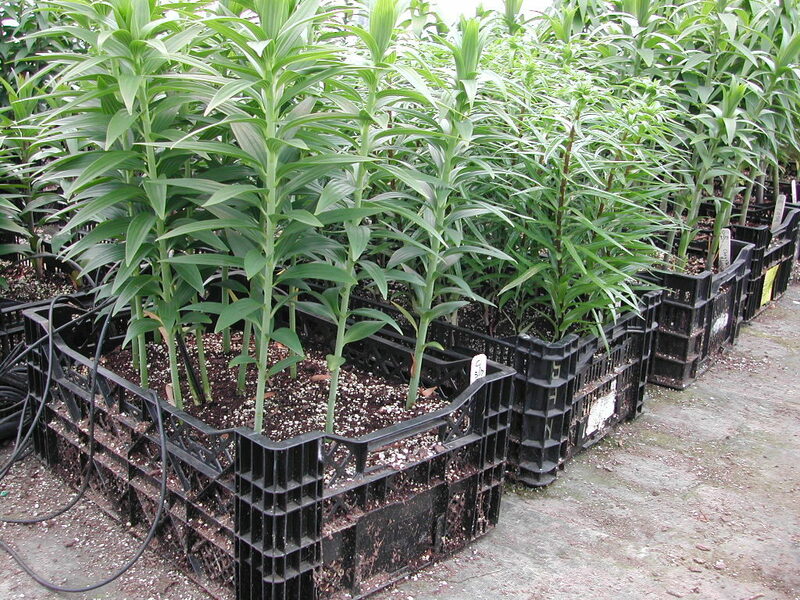 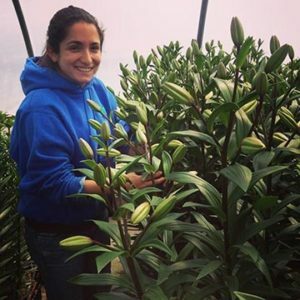 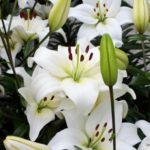 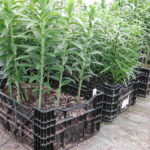 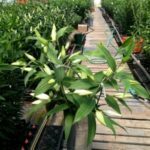 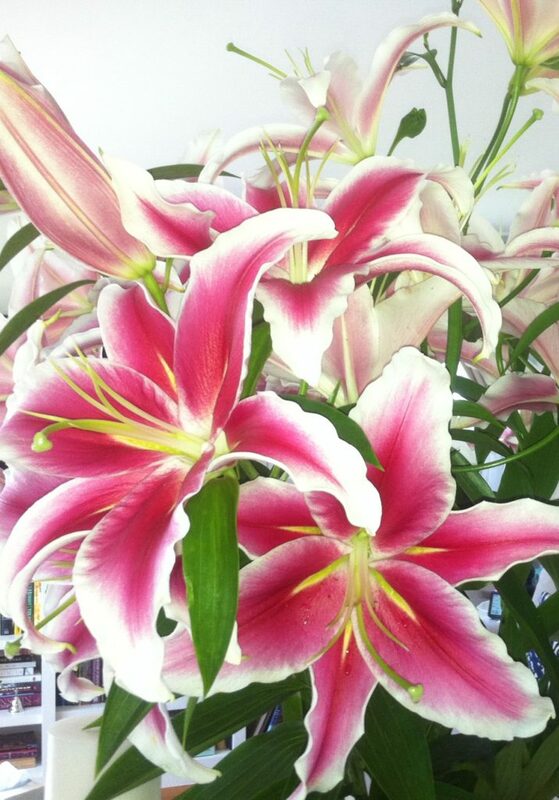 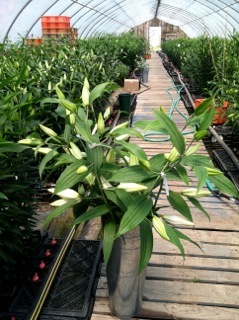 There are also several greenhouses where we grow our famous lilies and some of the more tender cut flowers. 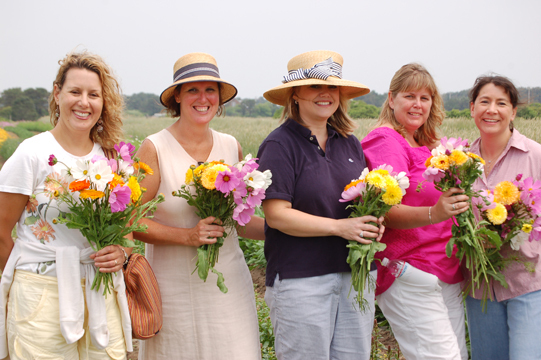 The peak of summer is the perfect time to take a cut-flower tour! 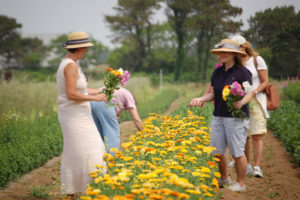 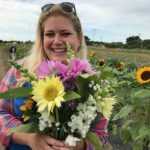 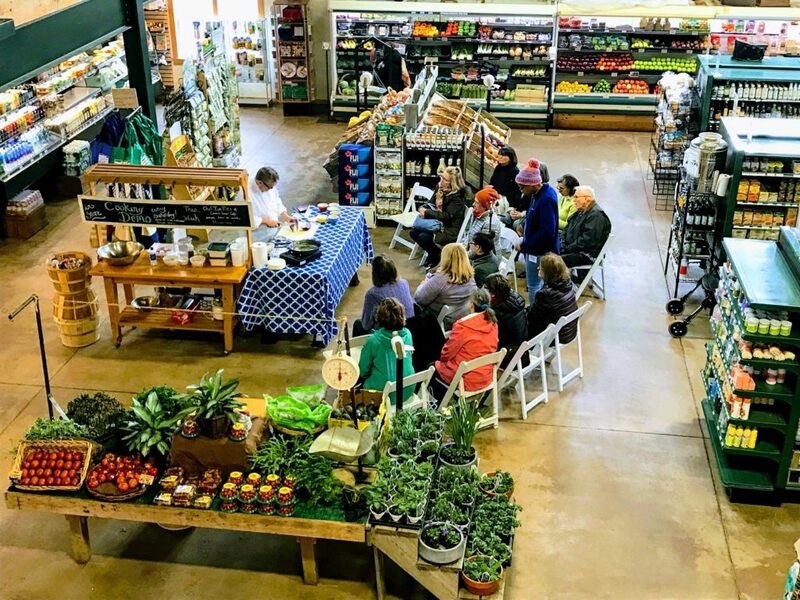 Hilary will lead you out to the fields and give a brief lesson about types of flowers and the best way to cut, before turning you loose for 30 minutes to cut whatever you want! 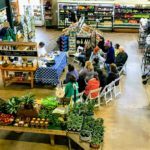 Check the Events page for more information! 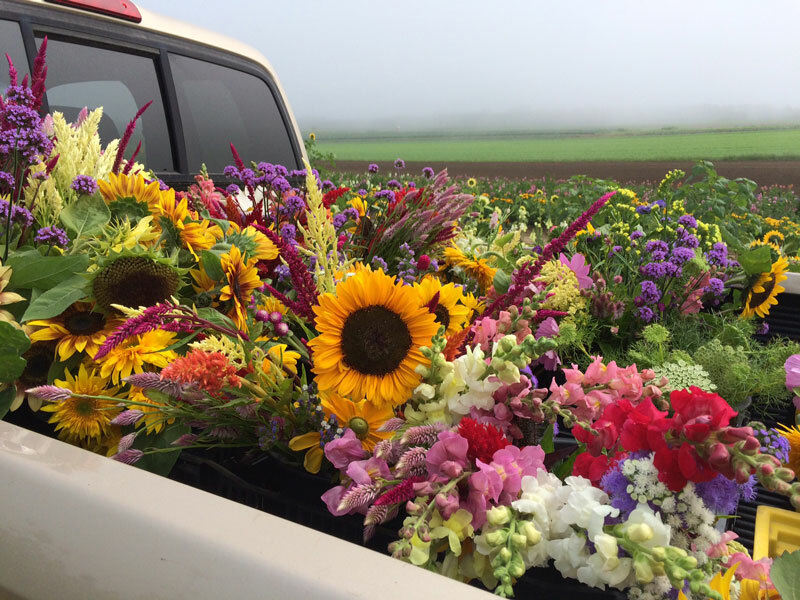 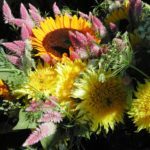 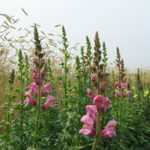 Flowers are sometimes bunched in the field, but often they are taken back to the barn where they can be worked on in the shade. 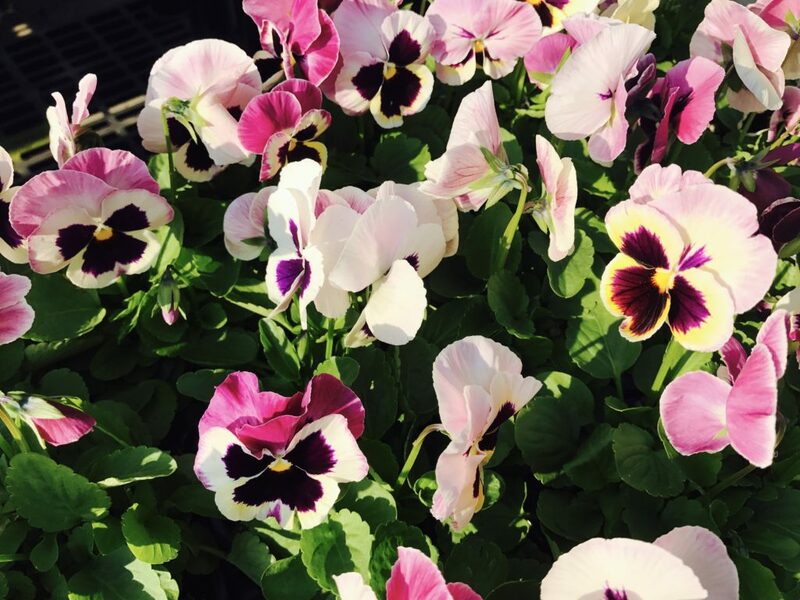 Stop and Smell (or Paint) the Flowers! 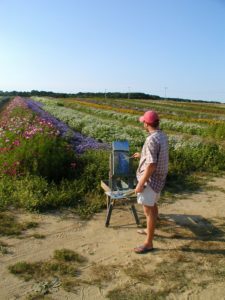 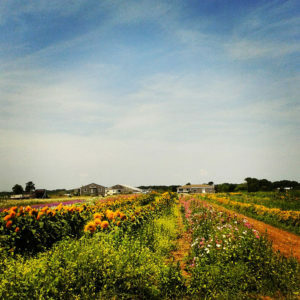 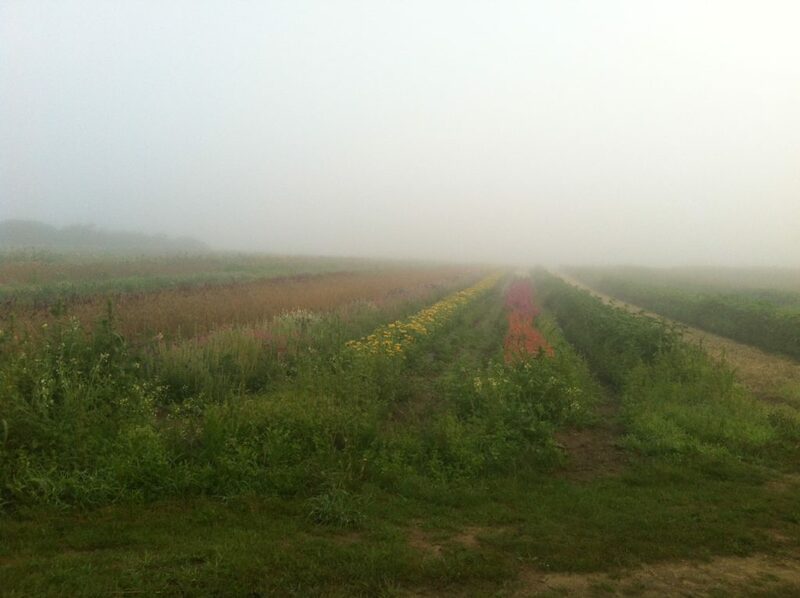 Artists often ask to enter our iconic flower fields in order to paint or take photos. 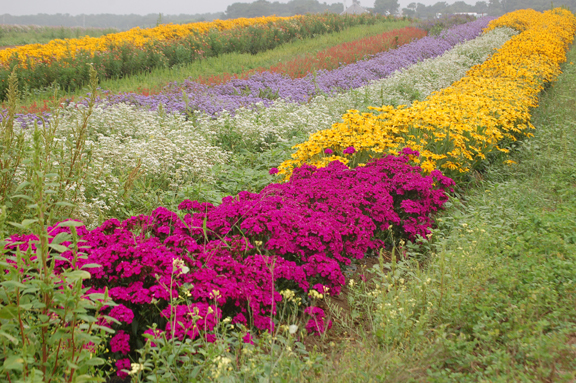 from Border Free Productions on Vimeo.